“All’s Fair….” Chicken Soup for the Soul: The Wonder of Christmas. 2018. “Healing Shared.” Guideposts. December 2017. “St. Lucia Surprise.” Chicken Soup for the Soul: The Joy of Christmas. 2016. “Walking by Faith.” The Secret Place. Fall 2016. “Bearing Burdens.” The Upper Room. May/June 2016. “A ‘Write’ Idea: Starting an Aspiring Authors’ Club.” Texas Home School Coalition Review. August 2015. “Feeling Better, One Gift Bag at a Time.” Media for Living. May 2015. “Summer Science: Studying the Monarch Butterfly.” Texas Home School Coalition Review. February 2015. “Get Crafting!” Writing for Children’s Magazines. January 2015. “Operation Buy-it-Yourself.” Alaska Parent. Online. “No Small Efforts.” The Upper Room. January/February 2015. 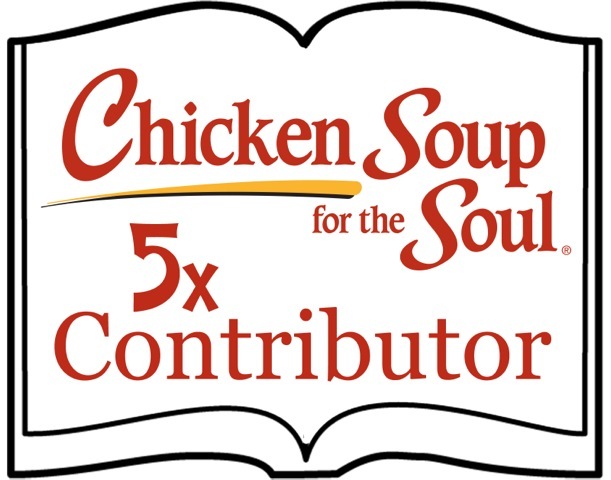 “Losses, Laments, and Laffy Taffy.” Chicken Soup for the Soul: Find Your Inner Strength. 2014. “The Mother Heart of God.” The Upper Room. May/June 2014. “Fiber-Optic Friendship.” Chicken Soup for the Soul: Just Us Girls. 2013. “Grounded Helicopter.” Media for Living. Summer 2013. “Operation Buy-it-Yourself.” San Diego Family. July 2013. “Letter from the Heart.” Teachers of Vision. Spring 2013. “Battling My Inner Bully.” Chicken Soup for the Soul: The Power of Positive. 2012. “Operation Buy-it-Yourself.” Media for Living. Summer 2012. “Feeling Better, Bag by Bag.” Chicken Soup for the Soul: Find Your Happiness. 2011. “Summer Science: Studying the Monarch Butterfly.” Home Education Magazine. July/August 2011. “Transformation: A Year in the Life of a Reluctant Homeschooling Mom.” Home Education Magazine. November/December 2010. “Tinsel, Terror, and Toenails. Chicken Soup for the Soul: The Gift of Christmas. 2010. “Burgers and Cries.” Chicken Soup for the Soul: Teacher Tales. 2010. “The Ultrasound.” Chicken Soup for the Soul: Twins and More. 2009. “Eating Local Offers Sweet Rewards.” The Mix. July/August 2008. “Setting Goals for Success.” Once Upon a Time. Fall 2008. “Finding Connection Through Support Groups.” Chaska Herald. June 29, 2006. “Three Candles on the Cake.” Media for Living. Fall 2003. “Mom’s Home Away From Home—Alone.” On the Road with Hampton. Jan-Mar 2003. “The Sunshine Package.” TWINS. Jan/Feb 2003.